On 27 December 2008, the Israeli occupation launched a massive military offensive against the Palestinians in the Gaza Strip. The Strip had been placed under an Israeli-led siege a year earlier, subjecting the 265 square-kilometre-enclave to a land, air and sea blockade. Codenamed Operation Cast Lead, this offensive began at 11am on a Saturday morning, with Israeli Air Force jets firing on targets across the territory. Ynet reported at the time that “80 jets, warplanes and helicopters dropped over 100 bombs on dozens of targets [during] the initial strike.” Among the targets were the small fishing port and the main police compound in Gaza City. Police stations in particular came under deliberate attack across the Strip. The “Arafat City” police headquarters in Gaza City, as well as three other stations, were attacked within the first few minutes of the assault on 27 December. The UN report states that, over the course of Israel’s military operations, 248 members of the Gaza civil police force were killed, which means that more than one out of every six fatalities was a police officer. The Israeli occupation initially denied these reports, but investigations by several human rights organisations documented evidence to the contrary. 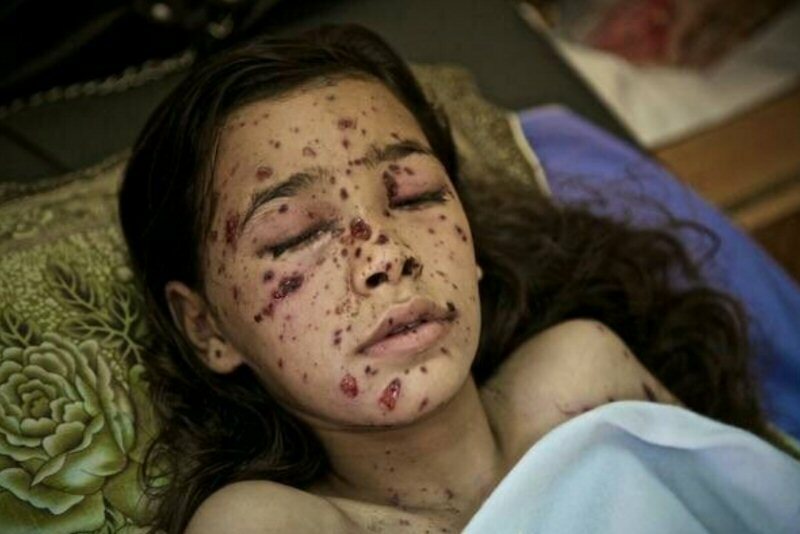 A 2009 Amnesty International report found that “Israeli forces made extensive use of white phosphorus, often launched from 155mm artillery shells, in residential areas, causing death and injuries to civilians.” Among the targets were the UN Relief and Works Agency (UNRWA) headquarters and Al-Quds Hospital in Gaza City; an UNRWA primary school in Beit Lahia, north of Jabalia and numerous residential areas. Gaza, however, has never recovered from the 2008 offensive. While acknowledging that its economy was already being strangled by the siege, the UN report found that Israeli military operation “destroyed a substantial part of the Gaza Strip’s economic infrastructure and its capacity to support decent livelihoods for families.” The figures speak for themselves: 700 businesses were damaged or destroyed, with direct losses totalling approximately $140 million; the agricultural sector suffered direct losses worth $170 million; and over 3,354 houses were completely destroyed, with a further 11,112 partially damaged, according to figures from the United Nations Development Programme (UNDP). A separate UN report estimated the cost of Gaza’s losses and damage at $1.1 billion. In the years since, the Israeli siege of the Strip has prevented the reconstruction of infrastructure destroyed during its 2008 offensive. To add insult to injury, Gaza has also since been the target of two more offensives at the hands of the Israeli occupation: the 2012 offensive, dubbed Operation Pillar of Defence, and the 2014 offensive, dubbed Operation Protective Edge. Almost 4,000 Palestinians were killed during these three offensives. Today, 54 per cent of Gaza’s almost 2 million-strong population is unemployed, while 53 per cent live under the poverty line in what has been described as one of the worst humanitarian situations in the world. A decade later, the Israeli occupation continues to shirk responsibility for its actions. Earlier this month, an Israeli court ruled against Izzeldin Abuelaish, a Palestinian doctor who lost three of his daughters during an Israeli air strike on his home in Jabalia, in the north of the Strip. Abuelaish’s story was made famous after he discovered that his children — 13-year-old Bessan, 15-year-old Mayar and 20-year-old Aya – had been killed while he was speaking to an Israeli TV channel; his suffering was broadcast live across the country and later shared widely around the world.